Another Blogger's Quilt Festival and I am very happy to be participating for a third time. The quilt I am sharing is one I made a couple years ago and, just last month, gave as a gift to Sarah's mother-in-law when she returned home from an unexpected hospital stay. The pattern is by The Pattern Basket. I modified it slightly from the original by adding some extra small flowers and a scrappy border. The quilt was machine pieced and quilted on a long-arm machine. The back was also pieced from left-over fabric used on the front. Beautiful and the back is lovely too! Very lovely quilt. I really like that you made it reversible. Both the front and back are equally beautiful. Two quilts in one. I love the cream background it really makes the blocks pop. 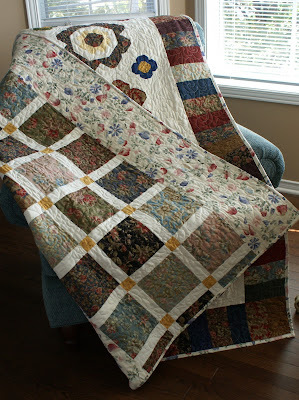 The border you added really works well with your quilt. 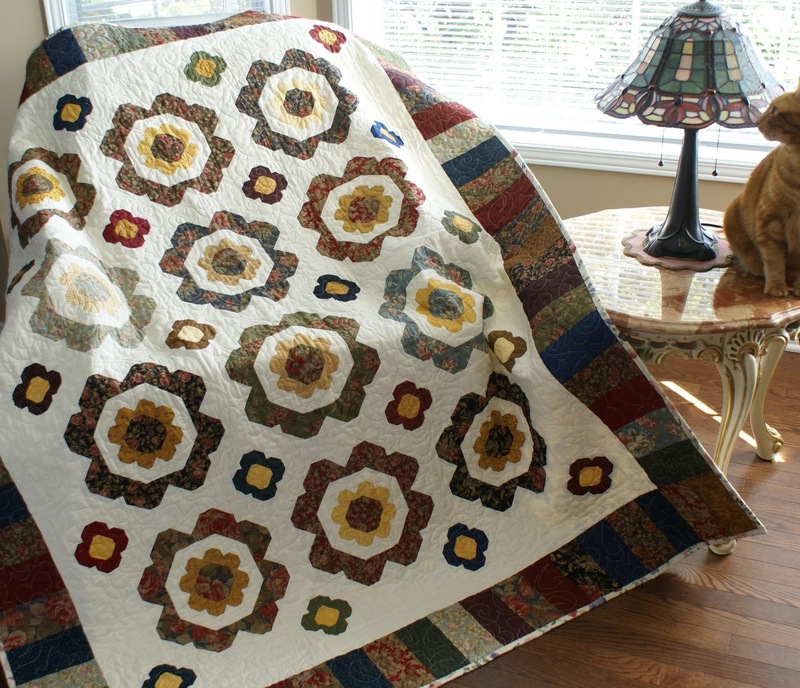 It is beautiful on both sides...really two lovely quilts into one! I really love the colors too! What a lovely quilt. The colours are great. This one really caught my eye in the Blogger's Quilt Festival. It's really nice. I love the design and the colors. I really like this quilt. 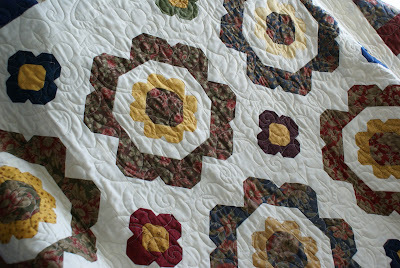 I has the look of rounded petals without the work of piecing curves or appliqueing. The back makes it a lovely reversible quilt too! Lovely quilt! I really like the extra small flowers and pieced border. The fabrics work so nicely together too. Lovely quilt both front and back. I like the addition of the small flowers. 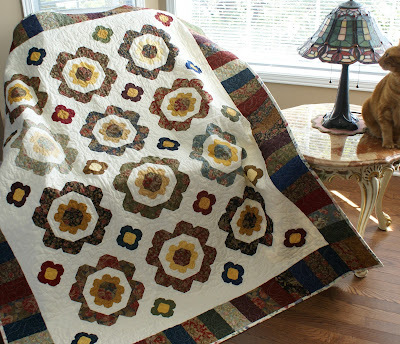 What a pretty double sided quilt...lovely colours too.